Snowdon, our Etsy shop this week, is brought to us from Alexandra in the UK. 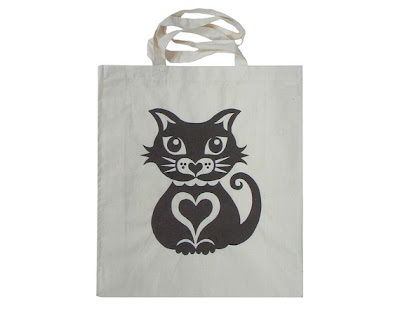 Based just outside of Manchester, Alexandra designs bags, cards, magnets, pillows and more. She is open to customizing items as well so feel free to send her a message! 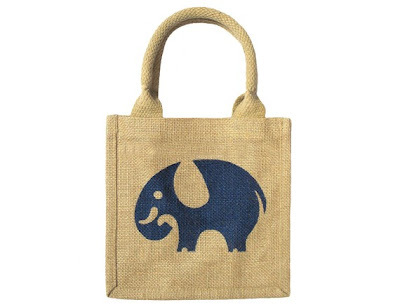 Made of jute, this mini bag is perfect for lunch, party bags or to use as storage! This cute miniature version of the full size jute bag makes an ideal lunch bag for children and grown ups alike! 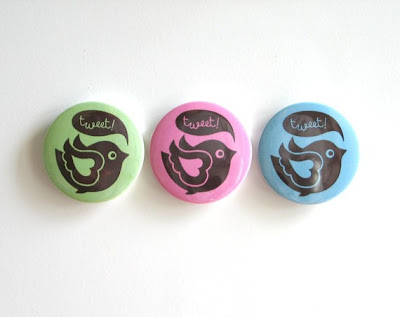 The adorable bird that Alexandra designed adorns this set of 3 magnets! What a cute gift they would make! 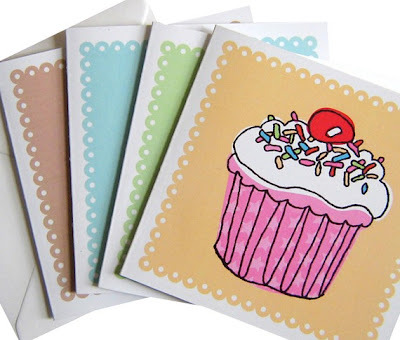 A set of 4 cupcake cards!! 1. Check out Snowdon and come back here to leave a comment on your favorite item. 2. 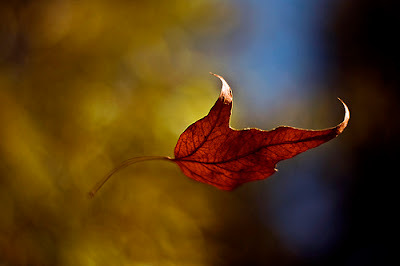 Be or become a follower of this blog for a second entry. Enter from now until Monday at noon. Check back Monday night to see if you are the lucky winner! Congratulations Rita! You are the winner of the beautiful prize from February Jones! Thanks so much to all who entered and thanks to Maria for letting us to meet your fabulous shop! 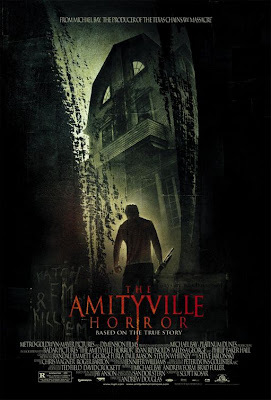 Movies that caused me mental distress as a child! Sure it was highly unlikely that a ten foot shark was going to be in an apartment bathtub, but as a child how was I to rationalize that!? I also had much less fun on my little floating duck at the beach after seeing Jaws and thinking that I was certainly doomed to be his next victim. Little ghostly figures staring in the windows, people getting sick from the home and voices coming from out of nowhere...yup that was enough to send me into panic mode! When a priest is afraid to come into your house I do believe you have a problem. And the WALLS bled! That my friends is not normal! 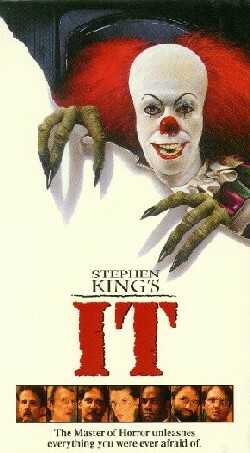 IT was a CLOWN! Enough said! 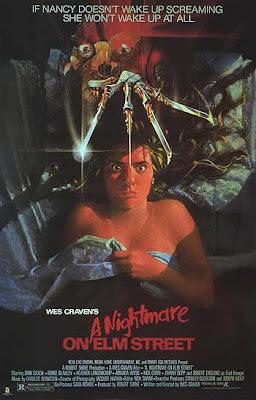 Not only did Freddy Krueger have knives on his hands and try to kill innocent people as they slept for no other reason than the fact that they lived on Elm Street, his face also looked like pizza. Thanks Mr. Krueger for messing up my dreams and my favorite food! Sharks, clowns and freaky killers infesting dreams are one thing...but Poltergeist, OH MY! 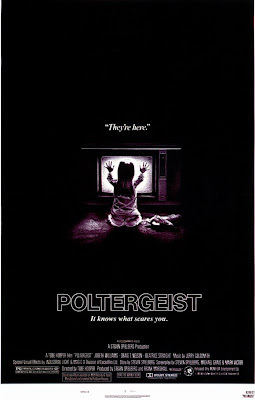 You see, I am one of those crazies that believe it is possible for the things that happened on Poltergeist to happen in real life, therefore it terrified me even more. It had me thinking they were baaack every time the cable went out and the television screen got fuzzy! Now that I have scared myself all over again like it was 198o something, what are your tops for most terrifying movies? 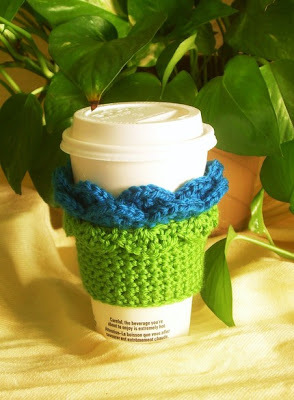 February Jones, our Etsy shop this week, specializes in jewelry as well as fun items like coffee cozies! The items at February Jones are inspired by science, literature, movies and pretty much whatever will give each item its own individual story. 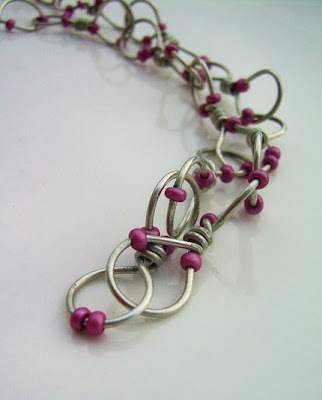 Maria, the shop's owner, welcomes requests for custom pieces so feel free to contact her! Could it be possible to enjoy your morning coffee anymore than you already do? Sure it wakes you up and all, but does it look this cute?? I can guess not, but it would with this 100% acrylic crocheted cozy! Not only is this necklace beautiful, but in the month of October it serves an even greater cause! During the month of October all pink products sold will have the portions of the proceeds go to Breast Cancer Research. Check out the shop for all items in this category! 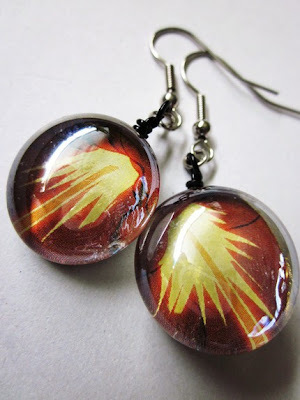 Made of upcycled comics these earrings are one of a kind. 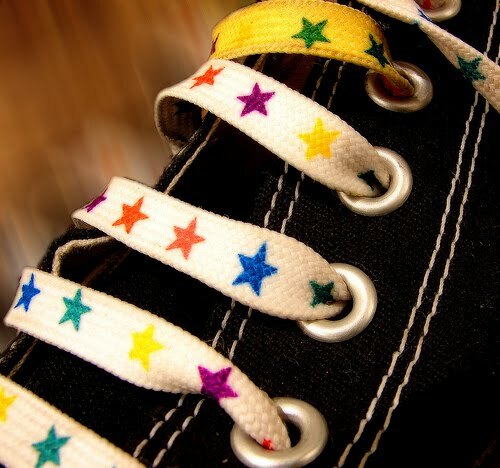 Bring back the carefree days of youth when wearing this fun creation! 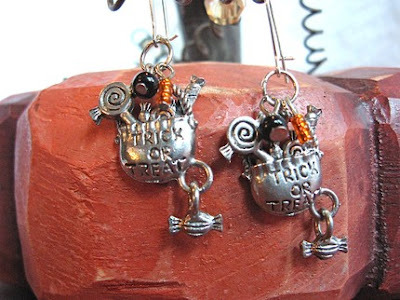 This week if you are the lucky winner you will receive the Deoxy Doodle Earrings below! 1. Check out February Jones then come back here and comment on your favorite item(s). Enter between now and noon Monday! Check back Monday night for the winner! Congratulations! You are the winner this week! 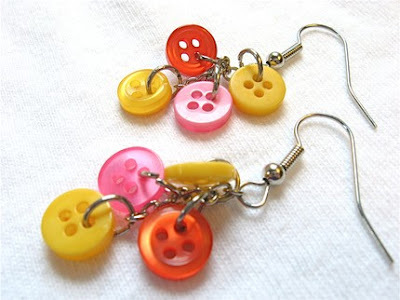 Thank you so much to Becky from Designs by Bec for offering your shop for the feature. Best of luck to your lovely shop in the future! So What Are You Going to be for Halloween? I am so excited! I received my Mad Hatter outfit yesterday and I absolutely love it. Halloween is such a fun day and this year I have a trip lined up and fun times ahead! What are you all going to be this year? Any plans already? I hope you all had a wonderful weekend! I started mine off with some overtime at work, caught up with a friend shopping and then caught up on some rest today! We have to have a balance, right? What fun things do you all have planned for this week? I am counting down the days until my friend comes to visit Friday! It is always great to have someone that you can spend days on end just laughing with. It is not too late to order this basket of treats for Halloween! 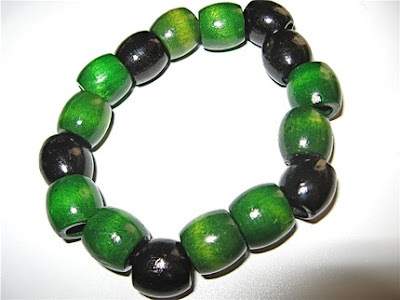 Made with stretchy string, this vivid green bracelet is made to fit all. 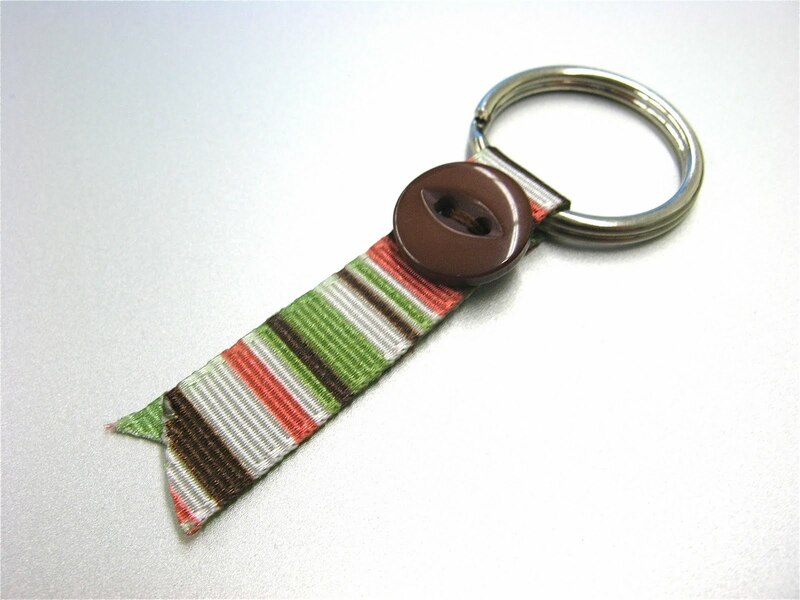 This week if you are the lucky winner you will receive this fun ribbon key chain! 1. Check out Designs by Bec. Come back here and post your favorite item(s) from the shop. Entries will be accepted from now until Monday at noon. Check back Monday night to see if you are the lucky winner. 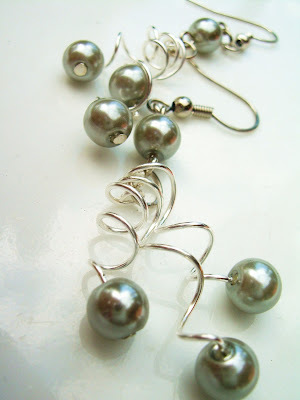 For more information on Designs by Bec check out Becky's blog. Congratulations Sarah Lynn! 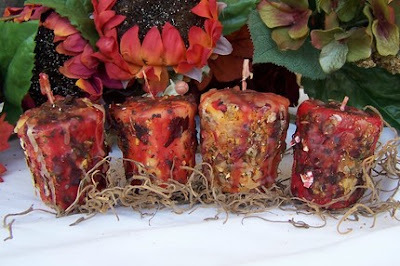 You will be receiving the Autumn Blessing Candles from Magic Marys. Thanks so much to all who took the time to enter this week and special thanks to Mary for offering your shop for the feature! Where will you all be heading off to today? This past weekend we traveled to Mobile, Alabama. They have a concert festival, Bayfest, there in downtown so Gabe, my friend Shyanne and I all went for the weekend. I grew up loving Motley Crue so it was awesome to see their last US tour date of the year there. Since Papa Roach was playing as well we stuck around until the last night of the festival to see them also. That's Tobin with his cool bird tattoo. Jacoby getting mobbed by all the screaming girls. LOL! Saturday we took a break from the concert crowds and went over to Biloxi, Mississippi. For those of you who have never been it is a great little casino town with a lot of charm and laid back attitude. 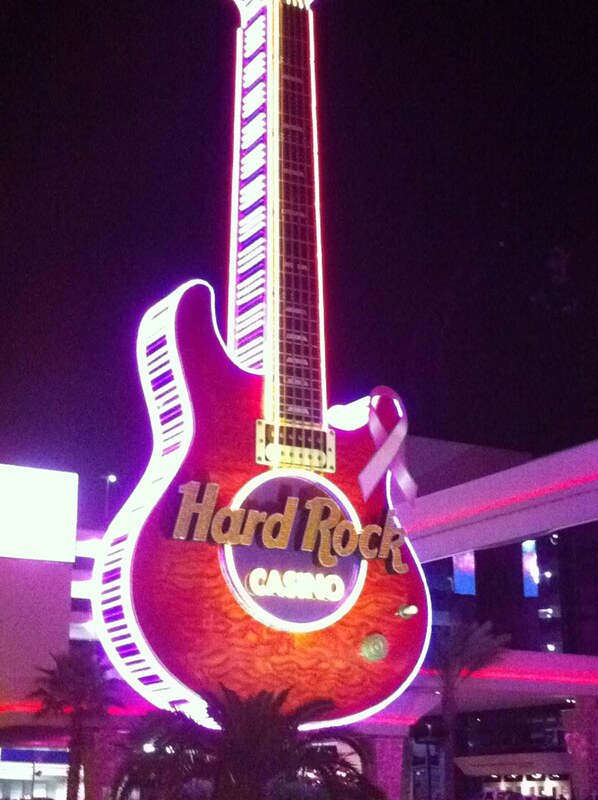 The Hard Rock there is so cool and I personally like it much better than the Vegas one. Another one of my favorites there is the Beau Rivage. It is like the Bellagio of Biloxi. Very classy and elegant! Things have been so crazy around these parts lately and I have really missed all of you! I promised vacation pics last month and never delivered so here goes my feeble attempt to play catch up and say sorry I haven't been the best blog host lately! We went to Vegas last month with a group of friends and had a great time. I love New York, New York. It can't compare to the real NYC, but it is a fun place to hang out. The atrium at the Bellagio is always beautiful. Every season they design a different theme for it and it is definitely worth checking out if visiting the Bellagio. The glass flowers in the lobby at the Bellagio. My first, and pretty much my last winning ticket in Vegas. My friend Diana and I were so excited we took a picture with it, never mind the fact it was only for $2.05! LOL! The Madame Tussauds Wax Museum has many great photo opportunities! We were trying to remember gang signs to take a picture with Snoop Dog, but I couldn't think of any! LOL! And WOW he is tall!! 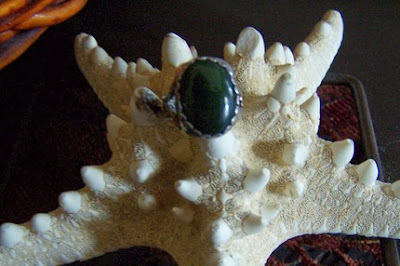 This is a size 6 ring with a large Jade stone. Jade is known as the dream stone and is said to bring good luck, health, wealth and love to those who wear it. 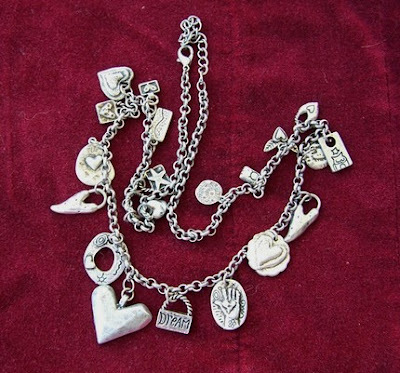 A great gift for a friend, or yourself, this charm necklace has an owl, sun, hand, stars and more on its more than 24"chain. 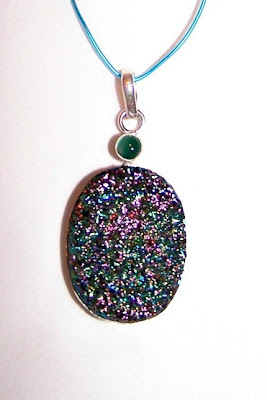 Shimmering like magical start dust this pendant is said to supply strength and energy. It also encourages clarity of mind. 1. Check out Magic Marys and come back here to let us know your favorite item. Since we are getting a late start this week entries will be accepted until noon next Monday with the winner being announced on Monday night! Best of luck to you all! Congratulations Rita! You are the winner this week and will be receiving the beautiful pendant from Tricky Fox! Thanks to all who entered and my apologies for the winner being announced later than usual! Thanks so much to Kandes for allowing Tricky Fox to be a part of the feature! Best of luck!